If you have strategic engagement mechanisms, forms, special links, downloadable documents and files, videos or any other medium that requires visitor interaction, you can use goal tracking to compile and analyze this data. Goal tracking can also record data on interactions that are made through campaigns or ads, such as newsletters, social media posts or banner ads. You can also set a monetary value to a goal to help you calculate your return on investment (ROI). 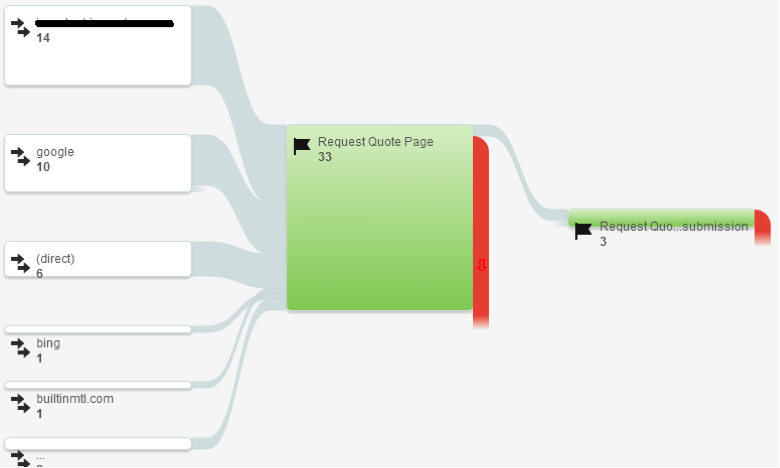 Below is an example of the steps that are taken on a Quote Request page. The big drop-off suggests the page should be looked into. 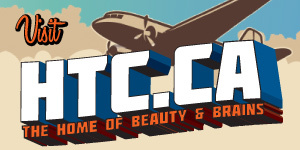 Perhaps the submission process is too long, or the form doesn’t work on certain platforms. 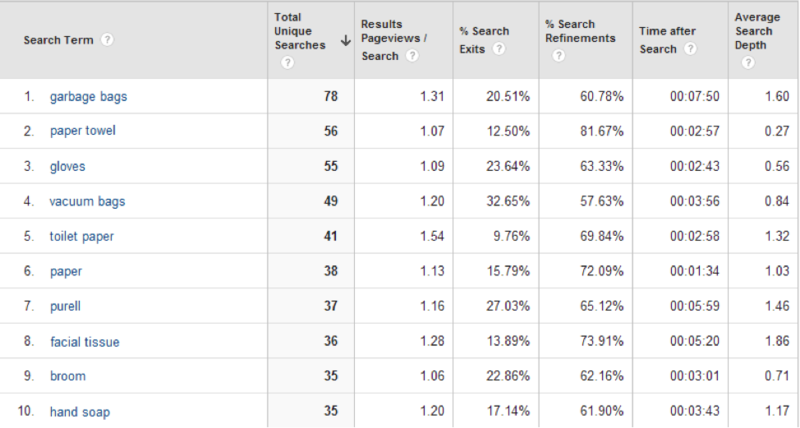 The ability to know what people are searching for on your own site can be an overlooked feature on Google Analytics. The internal site search data can help you see exactly what your visitors are looking for, how successful they are in finding it and what might be missing on your site. This feature also gives you the exact keywords that your visitors are using which can then be used in optimized site content and marketing campaigns. Looking at the example below, it might be worth looking into making an ad campaign focused on promoting garbage bags, or promote popular items that might have higher margins. Have you taken into account the amount of times you or your colleagues visit your website, or the amount of visits you are getting from referral spam? If not, you might want to implement filters that will ensure that the data you are looking at is from genuine traffic and not from spammers or people in your office. Without filters, your numbers are skewed and therefore unreliable for informed decision making. Filtering out yourself, co-workers and as much spam as you can means you are left with clean, legitimate data to provide real insight on your web property. For a business that relies on E-Commerce, tracking purchases and transactions is an absolute must. In doing so, you can identify where your revenues are coming from, which products are selling the most, the number of times people visit your site before making a purchase and how much money is flowing through your site, among other things. You can also determine where people might be abandoning the check-out process and pinpoint areas that need attention. 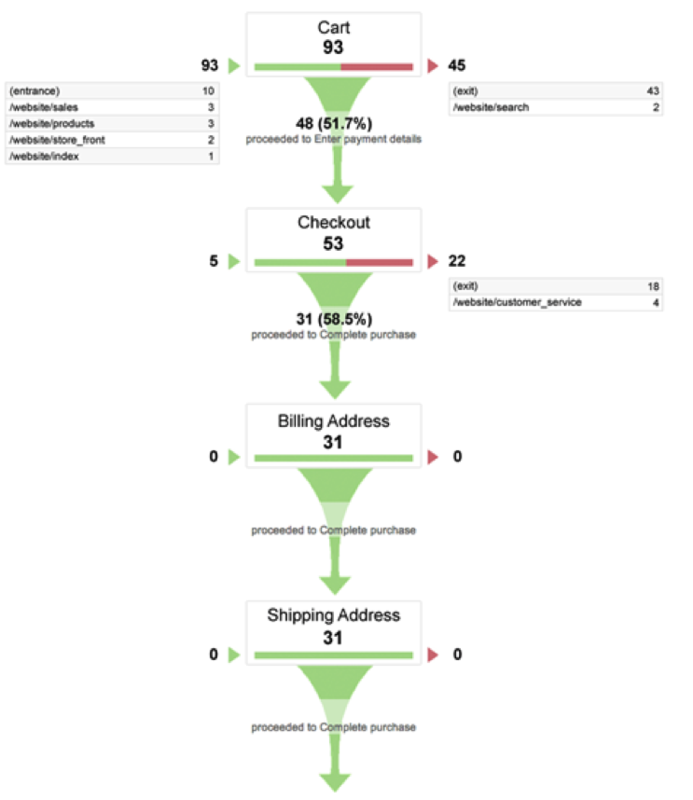 The funnel visualization below shows that customers are dropping off at the checkout page, suggesting that perhaps there is an issue. This could be due to a number of things such as having limited methods of payment, incorrect items are being displayed, or a complicated checkout system is in place. 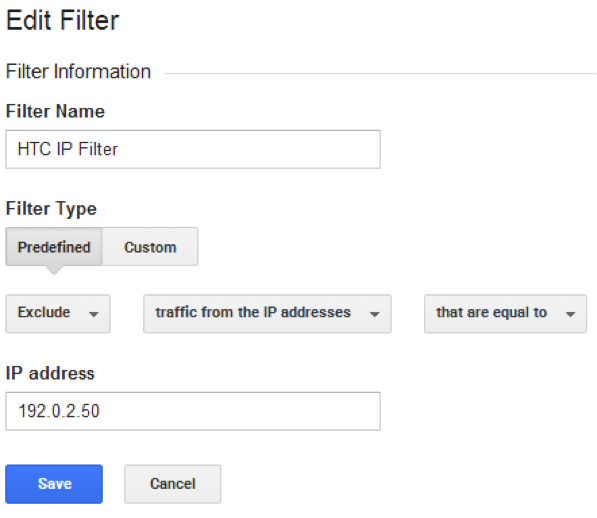 The features available in Google Analytics give you the ability to measure the performance of your website. If you want to make the most out of Google Analytics, setting up Goal or Ecommerce tracking, internal search tracking and implementing strategic filters will put you on the right track. By gaining a better understanding of user behaviour, characteristics and intent through measurable data, you can gain valuable insights into your website’s performance which can help shape business objectives and strategies.